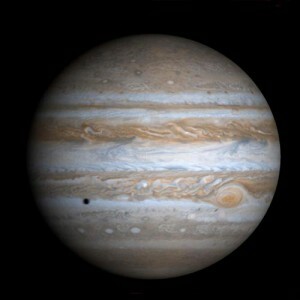 Jupiter, photographed by spacecraft Cassini in 2000, with clouds, shadow of the moon Io und the red Hurrican. The giant gas planet Jupiter is the largest planet in our solar system. Its distance from the sun is 5.2 Astronomical units. A solar rotation lasts 11.9 years. Jupiter consists of approximately 90% hydrogen and 10% helium. Jupiter would like to have become a star like the sun, but the necessary gas was lacking. Thus it could not reach the temperature necessary to start hydrogen fusion in its core. With its mass of 300 times that of the earth, it protects the earth from asteroids and comets, and in 1994 it consumed the comet Shoemaker-Levy 9. It is surrounded by 67 currently-known moons. Galileo discovered four of them (Jo, Europa, Ganymed, Callisto) in 1610 with a very simple telescope. The four Galilean moons were named for the lovers of the thunder-invoking Roman father of the gods, Jupiter. The gas planet Saturn is smaller than Jupiter. Of the six planets, that can be seen with the naked eye, it is the farthest from the sun, ranging from 9 to 10 astronomical units. This gas giant is composed of 96% hydrogen, 3.5% helium, methane and ammonia; it has a firm stone core. In 2008 it was possible to see the rings for a short period of time, but it will not be visible again until 2025. Then you will be able to see the profile. One of the 62 known moons is Titan, that has a diameter of 5,250 KM which is larger that that of the Earth’s moon and of Mercury. The Romans considered Saturn, together with his daughter Cerce as the gods of agriculture. In December, the Romans celebrated the Saturnalia. 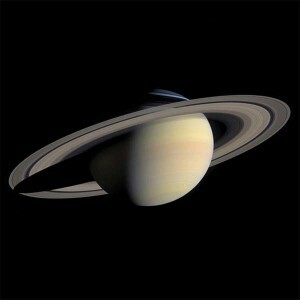 Also, Saturday is named after Saturn. Uranus is a small gas giant with a lower percentage of hydrogen (82.5%) and more helium (15%). It is covered by a dust layer of methane that absorbs red light. It therefore appears light greenish blue in color. Its profile can only be seen through a telescope. On its elliptical orbit, it has a distance of between 18 and 20 astronomical units and takes 84 years. It was discovered by Helmut Herschel in 1781. It was then named after the Greek god of the heavens, Uranos who was born to the goddess of the Earth, Gaia. Uranus possess a thin ring system. For whatever reason, its rotational axis is tilted to 90 degrees such that during an 84-year orbit, first the North Pole, then the equator, then the South Pole, then again the equator and then finally the North Pole again point toward the sun. 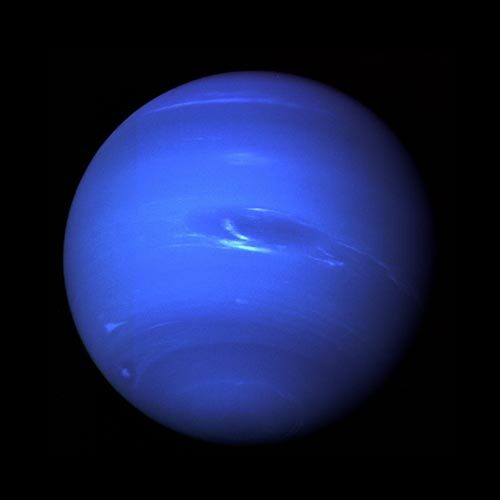 The gas planet Neptune is the outermost planet in the solar system. 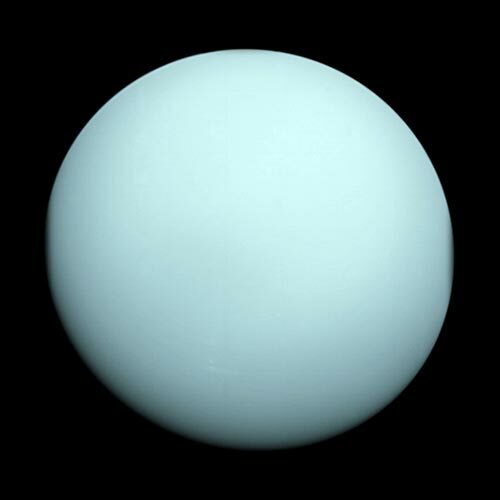 Astronomists first looked for it because of orbital disturbances on Uranus and thus discovered it by telescope in 1848. Its almost circular rotation has a radius of 30 astronomical units and thus an orbit takes 165 years. The gas giant is heavier, but somewhat smaller than Uranus. It is comprised of 80% hydrogen, 18% helium and 1.5% methane. Because of its heavy mass, it influences the smaller dwarf planets in the outer realm of the solar system. The largest of its 13 moons is Triton with a diameter of 2,700 km. Neptun was named for the Roman god of the sea. Its symbol is the trident.